What are the most popular 2018 college attractions for your university event? 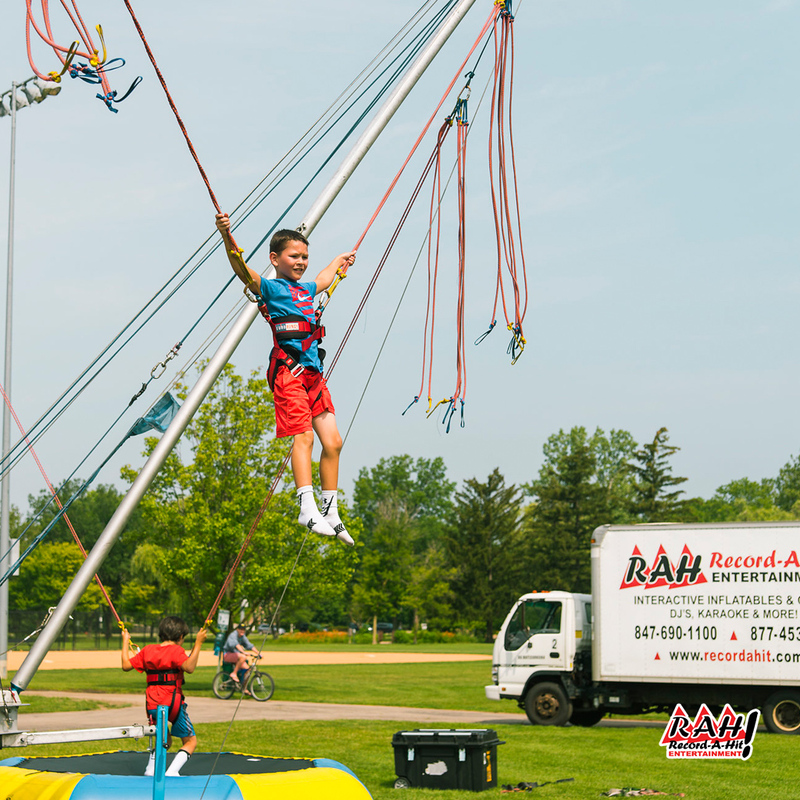 If you are looking to make your 2018 college spring fest or field day, a rager to remember than you need to get at least two or three of these event attractions. But if you want a blow out, then grab them all right now and lock your date in. We can almost guarantee you, everyone will love your college party! Everyone loves joining teams and harmlessly shooting their opponents while running for their lives. It’s super fun and make sure you add all the accessories like Team Photos and GLOW for night games. 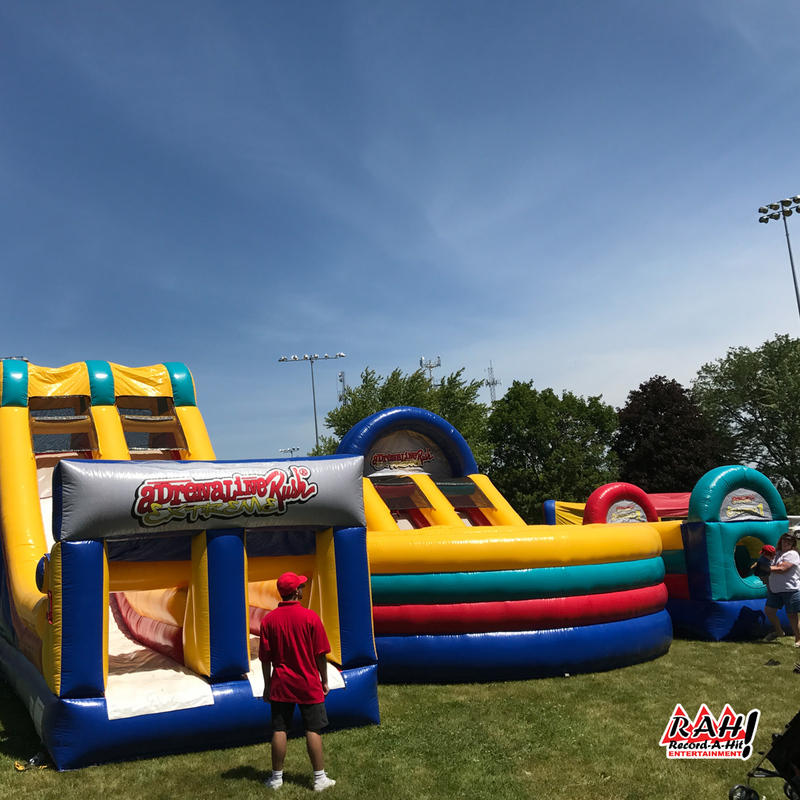 This inflatable monster obstacle course pits people against one another in a race through tons of obstacles and even with a 60 degree slope. Don’t wait on booking this attraction. It goes fast – just like your guests will. We call these babies boomer cars because that’s what happens when you bash them into one another. They go BOOM! 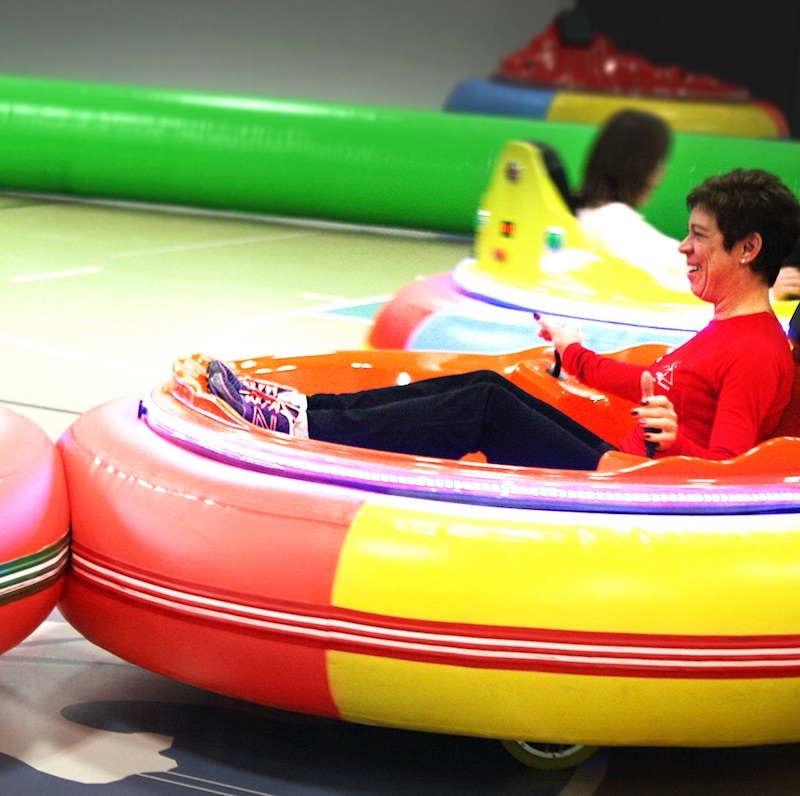 The best thing is we bring these bumper cars to you instead of you having to haul your guests to an expensive amusement park. It’s time to play a live version of your favorite childhood game. You sprint to the center, grab as many balls as you can as the bungee cord pulls you back and then bring them back to your area. Go, Hippo, Go! Do you want you and your guests to rock sky-high in the air like they’ve never done before? Four people at once can use our Eurobungy 4-in-1 trampoline and have the time of their lives. Once they start jumping, their bungee straps will shoot them higher and higher in the air. Your guest can make their own license plates. 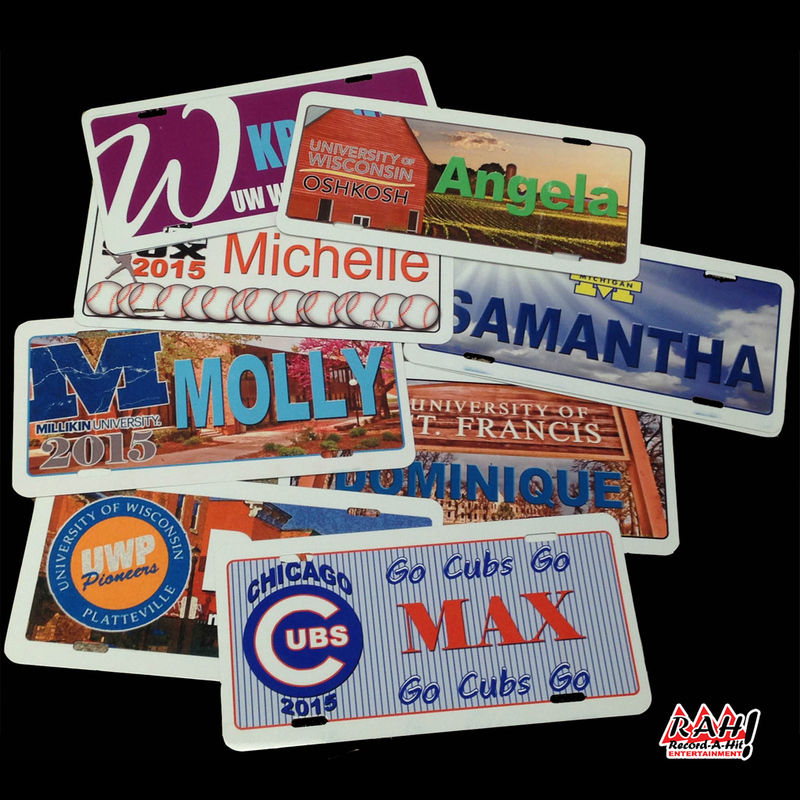 We provide up to three custom background selections, and you can even get your name imprinted on top of it. Signs come out very shiny and very colorful. Do you need help planning your next college event or party? Just reach out to Rob at 847-690-1100 or email him at Rob@recordahit.com. The whole team is happy to help you.